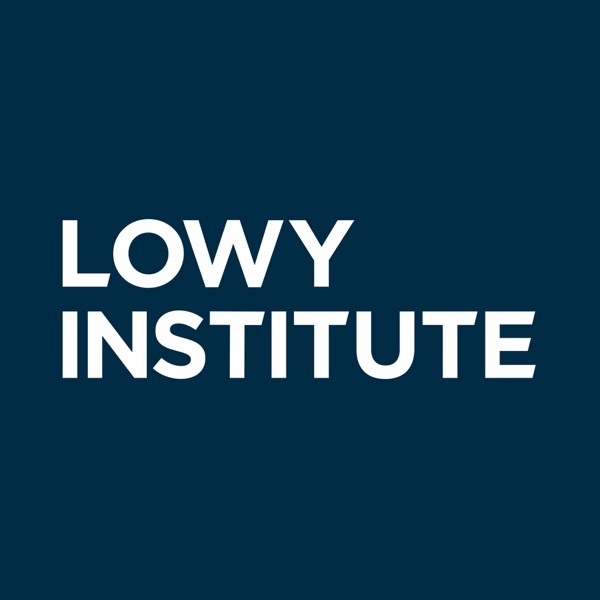 The Lowy Institute | Listen Free on Castbox. Following a succession of severe conflicts that have caused massive loss of life, dislocation and grave human rights violations, the task of the human rights movement today is a daunting one. Has the international community become resigned to irresolvable conflicts and human rights atrocities? The Lowy Institute hosted Philippe Bolopion, Human Rights Watch’s Deputy Director for Global Advocacy, together with ABC foreign correspondent Sophie McNeill and human rights expert and legal advocate Chris Sidoti for a discussion about the challenges of working against atrocities in countries such as Syria, Yemen, and Myanmar, and how United Nations advocacy can be effective. The discussion was moderated by Lowy Institute Director of Research, Alex Oliver. Philippe Bolopion is the Deputy Director for Global Advocacy at Human Rights Watch, where he contributes to HRW’s advocacy strategies and its advocacy response to crisis situations worldwide. Bolopion has been with HRW since 2010, travelling extensively to conflict zones such as Burundi, South Sudan, and Mali. He has been UN correspondent with French daily Le Monde and a journalist for France 24 and Radio France International. He reported on the end of the Kosovo conflict in Pristina (1999–2000), and is the author of Guantanamo: Le bagne du bout du monde (2004). Sophie McNeill is a reporter with the ABC’s Four Corners program and former Middle East correspondent. She has worked across the region including in Afghanistan, Yemen, Israel, Iraq, Pakistan, Syria, Egypt, Turkey, and Gaza. She has received three Walkley awards: in 2016 both for her reporting on the war in Yemen and for her work on the starvation of Syrian children in towns under siege, and in 2010 for her investigation into the killing of five children in Afghanistan by Australian Special Forces soldiers. She has twice been awarded Australian Young TV Journalist of the Year. Chris Sidoti is an expert on human rights law, a senior human rights advocate, and a member of the United Nations Independent International Fact-Finding Mission on Myanmar since July 2017. He has been Australian Human Rights Commissioner (1999–2000), a commissioner of the Australian Law Reform Commission (1992–1995), and has led human rights organisations in Australia and Geneva. He is presently an adjunct professor at the Australian Catholic University. The relationship between Washington and Beijing is increasingly competitive. The economic interdependence that once underwrote the relationship now undermines it. The two militaries are testing the other’s resolve in the Pacific Ocean. A new “space race” in technology – 5G, artificial intelligence, and fintech – is fuelling mistrust. Why has Washington’s view of Beijing darkened? Is the US developing a coherent strategy on China? How is Beijing responding? Lowy Institute Senior Fellow Richard McGregor and Laura Rosenberger discussed the state of relations between the two global superpowers. Laura Rosenberger is Director of the Alliance for Securing Democracy and a Senior Fellow at The German Marshall Fund. She has previously served in a variety of positions at the State Department including managing US–China relations, addressing North Korea’s nuclear program and serving as an adviser to senior US diplomats Bill Burns and Tony Blinken. She also worked as National Security Council director for China and Korea and foreign policy adviser for Hillary Clinton’s 2016 presidential campaign. Ms Rosenberger is a Vice Chancellor’s Distinguished Visitor at the Australian National University’s National Security College. The Lowy Institute thanks the NSC for facilitating her visit. Lowy Institute Executive Director Dr Michael Fullilove had a conversation about global issues with Stephen J. Hadley, former National Security Adviser to President George W. Bush.Stephen Hadley is one of the most respected foreign policy makers in Washington, DC. He served for four years as the Assistant to President George W. Bush for National Security Affairs from 2005 to 2009. From 2001 to 2005, Mr Hadley was the Assistant to the President and Deputy National Security Adviser, serving under then National Security Adviser Condoleezza Rice. Mr Hadley had previously served on the National Security Council staff and in the Defense Department including as Assistant Secretary of Defense for International Security Policy. Mr Hadley now serves as a Principal at RiceHadleyGates LLC and as Chair of the Board of Directors of the United States Institute of Peace. The Lowy Institute hosted Mr Mike Burgess, director-general of the Australian Signals Directorate (ASD), for an address on ASD’s offensive cyber capabilities. Mr Burgess has served as the head of ASD since 4 January 2018, becoming the first director-general of ASD on 1 July 2018. He has worked as an intelligence official, consultant, and private-sector chief information security officer. He has served on the Federal Government’s naval shipbuilding advisory board, the Australian Cyber Security Growth Network board, and as a non-executive director of SC8 Limited. Mr Burgess holds a degree in electronics engineering from the South Australian Institute of Technology. On 17 April, 190 million Indonesians will vote for their president and parliament in one of the largest single-day elections the world has ever seen. Incumbent President Joko Widodo and rival Prabowo Subianto are facing off in a replay of the bitterly-fought 2014 campaign.Indonesia has become a vibrant and competitive democracy. But human rights activists are worried about the government’s use of legal tools against its opponents and the exploitation of heated religious rhetoric as a campaign tool. Meanwhile, vested interests in the armed forces, bureaucracy, and established political parties are stymying much-needed reforms.Eminent Indonesian political expert Professor Dewi Fortuna Anwar, and Director of Lowy Institute’s Southeast Asia Project Ben Bland, discussed the elections, the state of democracy in Indonesia, and the implications for Indonesia’s international relations.Professor Dewi Fortuna Anwar is a Research Professor at the Centre for Politics at the Indonesian Institute of Sciences. She previously served as Deputy Secretary in the Vice President’s office from 2010-2017 and as a senior foreign affairs official from 1998-1999. She has also advised many international organisations and is currently a governing board member of the Stockholm International Peace Research Institute.Professor Dewi Fortuna Anwar’s visit to Australia is part of the ASEAN-Australia Visiting Fellows Program at the Lowy Institute, which is supported by the Australian Government through the Australia-ASEAN Council of the Department of Foreign Affairs and Trade. The implications for national security are often overlooked in discussions on climate change. In the Middle East, however, regional cooperation is vital when responding to the declining availability of water and periods of prolonged drought. How do you foster cooperation in a troubled region?Gidon Bromberg is co-founder of EcoPeace Middle East, an organisation which brings together Jordanians, Palestinians, and Israelis to advance sustainable and peaceful regional development, including in an ambitious project for the Jordan Valley. Mr Bromberg has written extensively on the relationship between water, peace, and security in the Middle East, and has presented to United Nations forums, the US Congress, and the European Parliament.Dr Rodger Shanahan, Lowy Institute Research Fellow, had a conversation with Gidon Bromberg about security, cooperation, and the preservation of scarce natural resources in the Middle East. The nuclear non-proliferation regime is under threat. Disarmament has stalled. Challenges from Moscow, Pyongyang, and Washington are mounting. Deteriorating trust between nuclear states threatens the emergence of a new arms race.What does this mean for Australia? What role should we play in the global effort against nuclear proliferation? Should we sign the Nuclear Weapons Ban Treaty? And how does our nuclear stance affect our alliance with the United States? The Lowy Institute hosted former foreign minister the Hon Gareth Evans AC QC and former chairman of the UN Human Rights Council’s Commission of Inquiry on Democratic People’s Republic of Korea the Hon Michael Kirby AC CMG for a discussion on Australia’s nuclear weapons policy. The event was introduced by Lowy Institute Executive Director Dr Michael Fullilove and moderated by Research Director Alex Oliver. Cyber issues are increasingly important — to governments, to businesses, to organisations and to individuals. Cyber affairs also play a significant role in Australia’s relations with other countries. In 2017 the Australian Government adopted the International Cyber Engagement Strategy to advance and protect Australia’s national security and national interests in cyberspace and to work with partners in the Indo-Pacific to improve cyber security and connectivity. The Lowy Institute hosted the Minister for Foreign Affairs, Senator the Hon Marise Payne, and Australia’s Ambassador for Cyber Affairs, Dr Tobias Feakin, for a discussion of these issues. The discussion was chaired by the Lowy Institute’s Executive Director, Dr Michael Fullilove.Senator Payne has served as a senator for New South Wales since 1997. She served 12 years on the Joint Standing Committee on Foreign Affairs, Defence and Trade, including a period as chair of its Human Rights subcommittee. She was Minister for Human Services from 2013 to 2015 when she assumed the Defence portfolio, becoming the first woman to hold the position of Minister for Defence. She was appointed Minister for Foreign Affairs in August 2018.Dr Tobias Feakin is Australia’s inaugural Ambassador for Cyber Affairs. He was a member of the Independent Panel of Experts that helped develop Australia’s Cyber Security Strategy. He was Director of National Security Programs at the Australian Strategic Policy Institute from 2012 to 2016. The latest Lowy Institute Paper published by Penguin Random House, America vs the West: Can the liberal world order be preserved? by Dr Kori Schake, was launched in Canberra on 5 March.Schake, one of America’s most respected foreign policy practitioners, argues that the success of the liberal order is not preordained. It will have to be fought for, compromised for, and rejuvenated. Whether it can be done without American leadership will depend on the strengths of the major challengers — Russia and China — but above all on whether the West’s middle powers are prepared to band together.Dr Kori Schake is the Deputy Director-General of the International Institute for Strategic Studies. She is a contributing editor at The Atlantic, the author of Safe Passage: The Transition from British to American Hegemony and editor with General James Mattis of Warriors and Citizens: American Views of Our Military. She has worked as Director for defence strategy and requirements on the National Security Council staff, as Deputy Director of policy planning in the State Department, and in both the military and civilian staffs in the Pentagon. In 2008 she was senior policy adviser on the McCain–Palin presidential campaign. She teaches in War Studies at King’s College London and has previously taught at Stanford University, the United States Military Academy, the Johns Hopkins School of Advanced International Studies, and the University of Maryland.